Is Fitbit Charge 2 Waterproof Or Is It Just Water-Resistant? 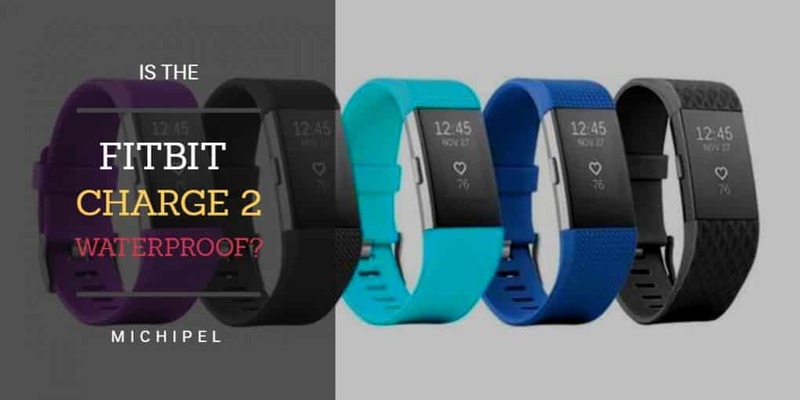 →Is Fitbit Charge 2 Waterproof Or Is It Just Water-Resistant? Fitbit range of gadgets has agreeably revolutionized health consciousness. By individualizing exercise tracking, Fitbit’s products have renewed the interest in health and fitness tracking devices. It started with the introduction of Charge HR in 2015, followed by the revolutionary Charge 2, which came to market in September 2016 and is still shaking things up. Charge 3 is the latest addition in this line. This article takes a closer look at Fitbit Charge 2, which is unique in its many ways. 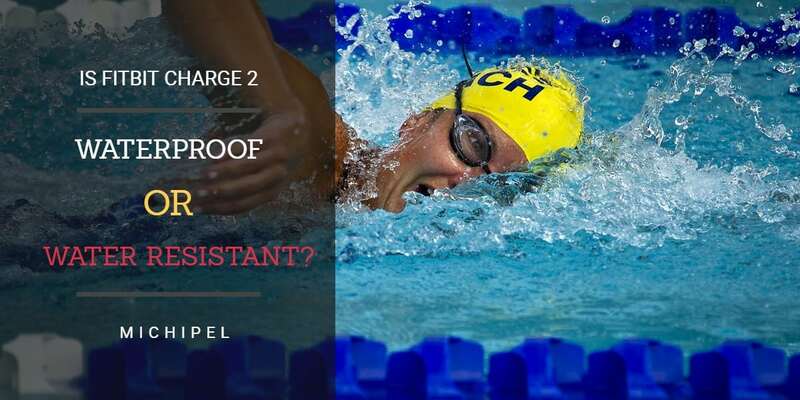 Most importantly, it comprehensively answers one important question: is Fitbit Charge 2 Waterproof? Charge 2, a stylish band that looks as good as its predecessors, tracks steps taken, calories burned, deep and light sleep, and other health metrics. 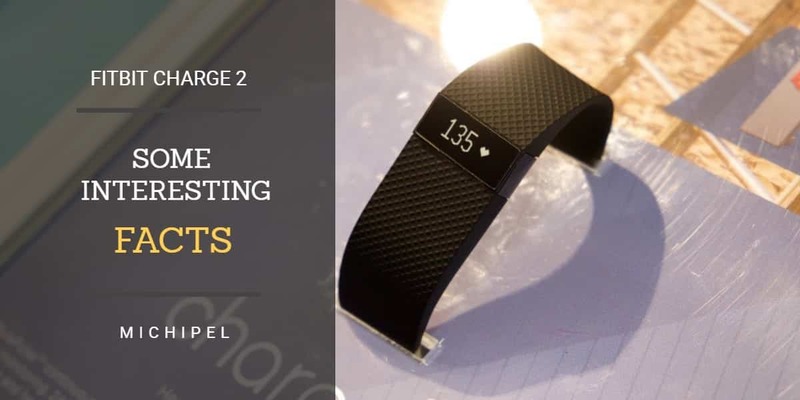 Some of the new features of Charge 2 include a larger, more detailed screen that has touch sensitivity, comfortable wristbands that you can easily change, connected GPS, and wider operating system compatibility. Before buying yours, the manufacturer recommends that you got to Fitbit’s website to see if the operating system of your particular mobile or PC is compatible with the device. The terms “waterproof” and “water-resistant” may at times be confusing, and certain product advertisers take advantage of this to mislead buyers. Luckily, the Charge 2 is clearly labeled as “water-resistant” and the manual it comes with clearly outlines the conditions under which you should keep it to maintain its good working state. If placed in excessively dump conditions or in places with unfavorable temperatures for too long, it is likely to malfunction. Since it is water resistant, the device has only some level of tolerance against water. For example, you don’t have to worry when a little amount of water splashes on it while washing your hands in a sink. In addition, you shouldn’t delay your outside run because of light rain, because it is built to withstand such slight sprinkles of water. You should not go to the shower with it. Too much water will seep inside and cause moderate to severe damage to the device. Do not jump into the swimming pool with it. It will most likely freeze. It simply cannot withstand excess water conditions. In case you are interested in finding a fitness tracker that you might take to do water sport with, the Fitbit Charge 3 can make a wonderful companion. Like its predecessors, Charge 3 is readily available for instant orders online, except for one slight problem: you will have to dig slightly deeper into your pockets to get it. It’s quite expensive and even its accessories are rather pricey in light of its predecessors. Fitbit Charge 2 comes with standard default settings for the average person, which means it is easier to get it set up and running. But if you want to get the most out of this device, take time to read the user manual that comes with the package. You can also download the manual from the manufacturer’s website and store it in your phone or PC. One of its best features is the heart beat sensor. The device uses pulses in the wearer’s arm to calculate their heart rate at different stages of exercise and rest. Although it doesn’t have a pause button, it report periods of rest, for example when you are taking a bus, as “inactive”. It is also a good sleep monitor, and you can set it to monitor your heartbeat during sleep. This will tell you whether you had a good night rest or not. You have to wear it to bed to do this. Also, for the best results, ensure that the straps are neither too tight nor too loose. This will also promote your comfort as you sleep. During the initial setup, the device will ask for information about the wearer, including their age and gender. It will then choose one of the three default heart zones that best fits you. The default zones are based on the standards of American Heart Association. There is also a provision for custom heart zones where you can set the limits that you would wish to achieve. This is especially useful for sportspeople. In addition, you have to specify whether you will be wearing it on the right or the left hand. In case you initially chose the right hand setting and decide to shift the gear to your left hand, ensure that you change the settings accordingly to enhance integrity of your stats. Another interesting feature of Fitbit Charge 2 is that you can share your fitness report with other people who have Fitbit accounts. You can set targets as a group and members can share how much they have achieved. Although the device does not have an integrated stand-alone GPS, it can effectively use shared GPS in your mobile device. It stores maps of places you have passed through and you can choose whether to keep some details private or reveal them to your group. Keeping the device in good condition will enable it to serve you for a long time. While you shouldn’t be worried about moderate moisture in form sweat or slight liquid sprinkles, avoid exposing the gadget to excess wetness because it is only water resistant, not waterproof. Another thing you need to avoid completely is the tendency to wear the gadget too close to the moving part of the wrist as exposing the straps to frequent tension will reduce their lifespan. You need to make sure the battery has enough power before setting out for your exercise. Low power may minimize your interaction with the device and might even lead to real-time data loss. Should you need new straps, you can find both leather and rubber straps online. They come in different sizes and colors, so you are obviously spoiled for choice when it comes to what you can choose. Other Fitbit Charge 2 accessories are also available online.